Join us in Alpine and Marathon for this FREE Two-Day Event! March 23 – join us at the Holland Hotel for cocktails and appetizers sponsored by Mr. Charles Mallory, owner of the Holland. March 24 – continue with an afternoon at the grand opening of the Brick Vault Brewery at the historic Gage Hotel. Reservations are limited, read more about the event below and secure your spot today! On March 23 & 24, 2018 we invite Trost & Trost aficionados for an evening of drinks, discussion, and delectables at the historic Holland Hotel in Alpine, Texas, followed by the grand opening of the Brick Vault Brewery at the Gage Hotel in Marathon, Texas. 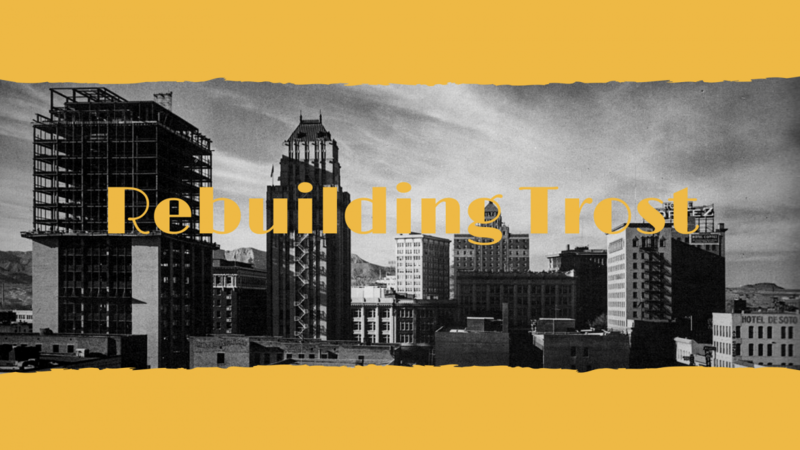 Join us for talks by the owner of the Holland Hotel, Mr. Charles Mallory, and the co-owner of the Paso del Norte Hotel, Mrs. Danah Meyers, as the Texas Trost Society connects all those who love Trost buildings and feel the need to preserve them. Experience the best of what these two historic Trost Hotels have to offer with a weekend beginning with appetizer and cocktail pairings at the Holland Hotel on March 23rd at 6:30 PM (CST), followed by an exclusive sneak peek at the new Gage Hotel Brick Vault Brewing and BBQ restaurant on March 23rd at 12:00 PM (CST). Free to attend. For hotel reservations at the Holland Hotel, contact Sarah at events@thehollandhoteltexas.com or call (432) 837-2800 for more information. For hotel reservations at the Gage Hotel, contact Michelle West at michelle@gagehotel.com or call (432) 386-4205 for more information.